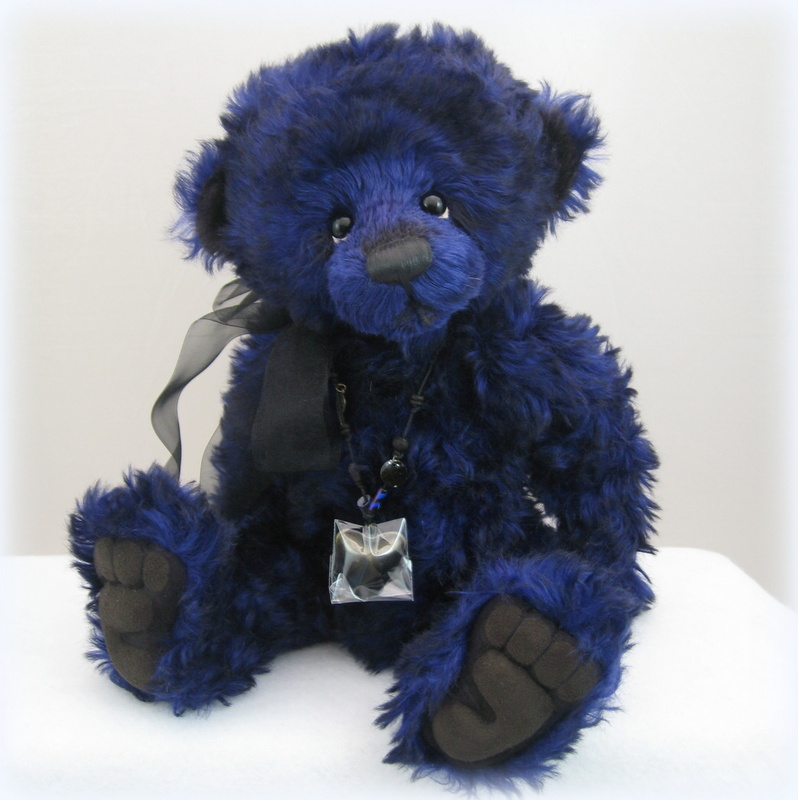 Charlie Bears Isabelle Collection "Sapphire"
A wonderful, unique bear from the Isabelle collection! Sapphire is made from a unique royal blue and black long mohair. Sapphire is the perfect size for a GREAT hug, coming in at just about 17". She's fully jointed. He wears a really lovely heart pendant. A limited edition of 300. We offer here # 193.